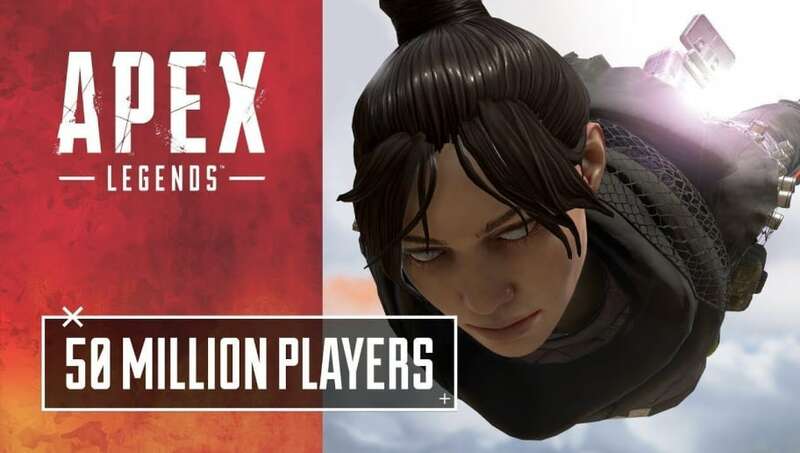 Apex Legends has accrued more than 50 million players worldwide since launch, according to an announcement from developer Respawn Entertainment. The upstart battle royale has grown at an astonishing rate. More than 10 million players downloaded it within 72 hours of its Feb. 4 release date, meaning the game reached that milestone more than three times as quickly as Fortnite Battle Royale. That player count jumped up to 25 million on Feb. 11. While growth has slowed as the game's viral allure has diminished, it continues to swell its player count at an impressive rate. Respawn Entertainment CEO Vince Zampella thanked fans for helping the game reach 50 million players so quickly. "You have all made this something special," Zampella wrote on Twitter, "and there's much more to come!" Apex Legends Season 1 will kick off later this month, bringing a wave of new content with the game's first Battle Pass.